Lighting a fire in your home is one of the many joys of the colder seasons. When you first moved into your house, you probably envisioned many winter evenings gathered around the fire with a good book in your hand. 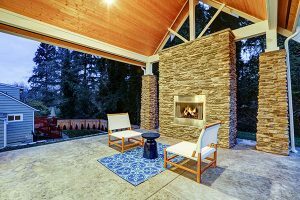 A fireplace typically evokes feelings of warmth and images of laughter in the minds of people everywhere. They don’t expect to be hit with a face full of dusty smoke as the logs continue to smolder into the late evening hours. A fireplace that isn’t drafting can create an extremely uncomfortable experience for your family and guests. As the room fills with smoke, it can become irritating to your eyes and lungs. You might hope that this drafting problem never happens in your home, but it’s always best to prepare in advance. 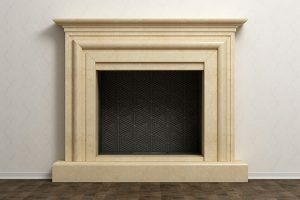 If you ever encounter an issue with your fireplace refusing to draft, here’s what you need to do immediately to correct the problem. The first and most logical thing to do when your fireplace isn’t drafting is to give the smoke somewhere to go. Opening a window gives it an outlet and helps to generate fresher air into the room simultaneously. You might even want to consider setting up a small portable fan to help direct the smoke straight out the nearest window. This simple step may permanently solve your chimney drafting issues. Since many newer homes or those that have received energy-efficient upgrades are sealed tightly, the smoke doesn’t have a way to escape like it did in older and draftier homes. If your home is sealed too tightly to allow it to draft properly, you may have to give it a little help by letting in some fresh air through your nearest windows. As silly as it sounds, it isn’t unheard of for homeowners to close off their flue and then forget to reopen it. 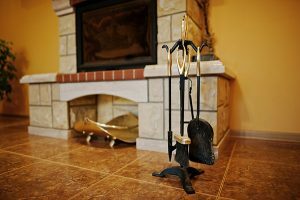 This isn’t a bad idea if you plan to take a break from using your fireplace for a little while, but it can be a serious problem if you forget to reopen it. Make sure to check the flue before you call in a professional for assistance with a major drafting issue. Some wood will naturally generate more smoke and debris than others. Wet wood or green wood that has been recently brought in from the outdoors hasn’t had a chance to thoroughly seasoned. It’s also important that you store your firewood properly to let it dry efficiently. When you set it ablaze, it’s likely to create a thick smoke that’s difficult to draft under even the best circumstances. 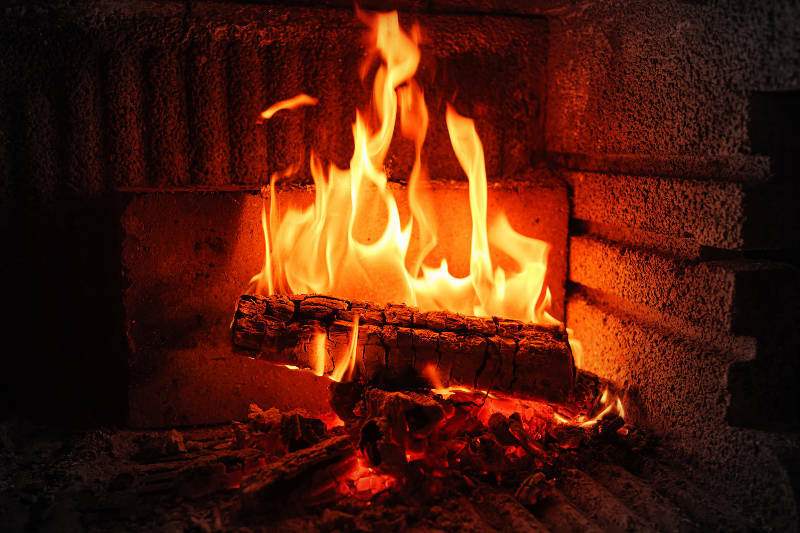 Be certain to check the wood you plan to burn to see if it’s dry, especially if you already have an issue with your fireplace not drafting. Getting your chimney cleaned annually should be on your to-do list even if you aren’t experiencing problems with your fireplace drafting. This gives a professional an opportunity to spot any problems with your current chimney that you don’t realize exist. For example, it isn’t uncommon to find critters that built habitats deep within the chimney. They could be small mammals or birds, but they may have brought debris and other things with them that clog up the chimney, preventing it from drafting. 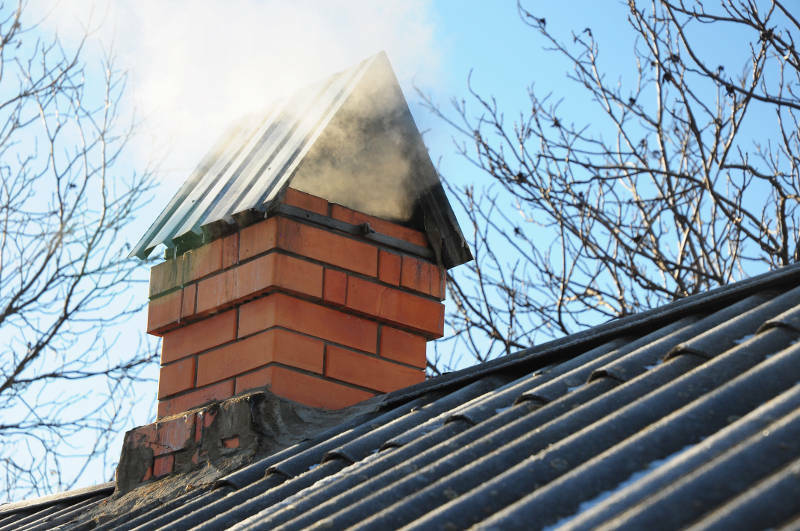 Your chimney is also susceptible to creosote buildup, particularly if you use it often throughout the year. 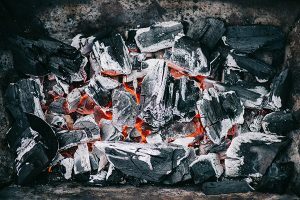 This is a dangerous problem because it can lead to major issues with your fireplace and your health and can even start a chimney fire. The chemicals inside of this compound are known to be extremely harmful to your health. You won’t want to take chances that your chimney could have an excessive amount of creosote built up inside of it. Leave cleaning the creosote to a professional to ensure your overall well-being. Sometimes, you’ll have to actually make some structural changes in order to improve the draftiness of a fireplace. Short chimneys may not have the height you really need to draw fresh air in and release the smoke that’s filling your room. A simple solution would be to make a taller chimney with the help of a professional. Prior to making a structural change, you may be able to improvise temporarily to see how effective it is. Using a metal construct, you can attempt to add just two more feet to the overall length of your chimney. While this won’t be a long-term solution, it does give you an idea if it’s worthwhile to pursue this method. It may be easier for your chimney to draft if the logs are burning at a higher height. This redirects the smoke directly up the flue and allows fresh air to hit them much more effectively. Making this change requires only a few dollars and a few minutes. You can purchase a specific grate designed for this purpose or stack bricks up to reach the new desired height. Eventually, you could make this a permanent arrangement once you determine if it works. New concrete could be poured or the bricks could be mortared into place to make an entirely new fireplace floor. However, the simple solution in the short-term would be to evaluate what a difference it makes in your home first. Over time, you might find that your damper no longer opens all the way. This can be the result of rust buildup, screws that have come loose, or any number of other problems that can develop over a long period of time. There’s also a chance that your damper has never been the proper size since the moment your fireplace was built. A damper should be able to open to approximately 90 percent of the size of your chimney flue. Measure the opening of your flue compared to the size of your damper opening. If you find that it’s less than this amount, you may need to install a new, more appropriately-sized damper onto the flue. Without this essential element, the smoke won’t be able to pass through into the flue as effectively as it should. Alternatively, you could consider installing a damper at the top of the flue and remove the lower one altogether. This may give you better access to it over time and eliminate the issue faster than you would be able to otherwise. It can mount directly to the top of the flue on the exterior of your home. For someone who has some do-it-yourself capabilities, this may something you can even do on your own. A problem with your chimney drafting has the potential to be serious and majorly uncomfortable for your daily living conditions. However, there are plenty of solutions that could assist you in addressing these common problems. Talk to a professional or investigate them for yourself so you can go back to enjoying a winter fire the way you always imagined. In fact, Early Times can help you with your chimney and fireplace problems – get a free quote now.